Hello! Welcome to First Friends! Welcome to First Friends Child Care and Preschool! 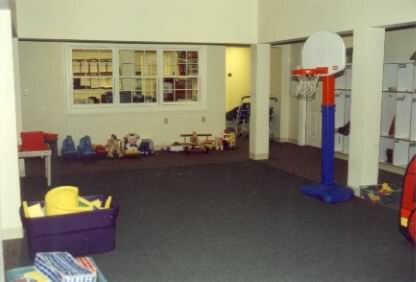 We are a family-centered organization for children between the ages of eight weeks and six years in Sudbury, Massachusetts. Staffed by a professional group of talented, dedicated and loving teachers, First Friends provides a nurturing environment in which children can grow and realize their full potential. First Friends has been in existence for more than 15 years, although things seem brand new since we moved into a wing of the recently opened Orchard Hill Assisted Living Center on Boston Post Road. First Friends had a direct hand in designing this beautiful new space, and it shows! (One of the benefits of getting in on new construction!) The setting boasts two playgrounds, a large indoor common play area, and spacious and comfortable rooms for each of the five children's groups: Infant, Toddler I, Toddler II, Preschool I and Preschool II. In addition, Orchard Hill's own facilities are often made available for fun, inter-generational activities. 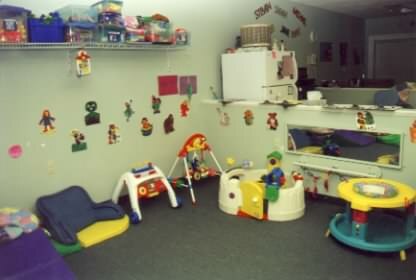 Whether you have an infant, a toddler, or a child ready for full-day preschool, you should drop by the Center to check out the facilities, the staff, and the children. You and your child will like what you see. 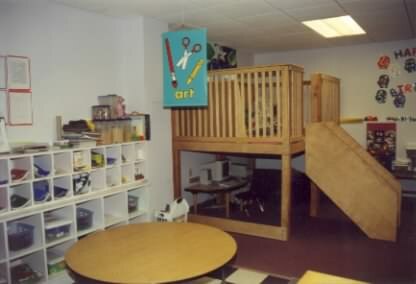 First Friends is a non-profit organization overseen by the parents of the children who attend it. Through an elected Board, committee involvement and full membership votes, parents oversee the development of the Center, ensuring it meets the physical, emotional and intellectual needs of the children, as well as the needs of the parents. Parent involvement is crucial to the character and operation of the Center, and guarantees that the children are always the bottom line. Our goal at First Friends is to help each child develop to his or her full potential and to promote the development of a positive self-image. Emphasis is placed on cooperation, sharing, self-confidence, individual freedom, intellectual development, responsibility and curiosity. We believe that these traits enable a child to be a happy and secure member of society. To do this, our professionally trained staff develops and implements curricula at each of the five age levels which are directed at promoting a safe, healthy, cheerful and adventurous environment for the children. First Friends' hours are 7:15 a.m. to 6 p.m., Monday through Friday. The Center has both full week and partial week options available, and offers a discount for enrolled siblings. To speak to someone at First Friends and get more information, call us at (978) 443-2111 or go to our contact page. This site is being hosted by Tripod.com. Tripod uses advertisements to support its hosting services. First Friends has no control over, and does not necessarily endorse, Tripod's advertisers. If you have any comments about this web site, please direct them to First Friends via the comment form on the contact page.